Posizione perfetta a pochi passi dalla spiaggia. Casa completamente attrezzata vicino alla spiaggia. 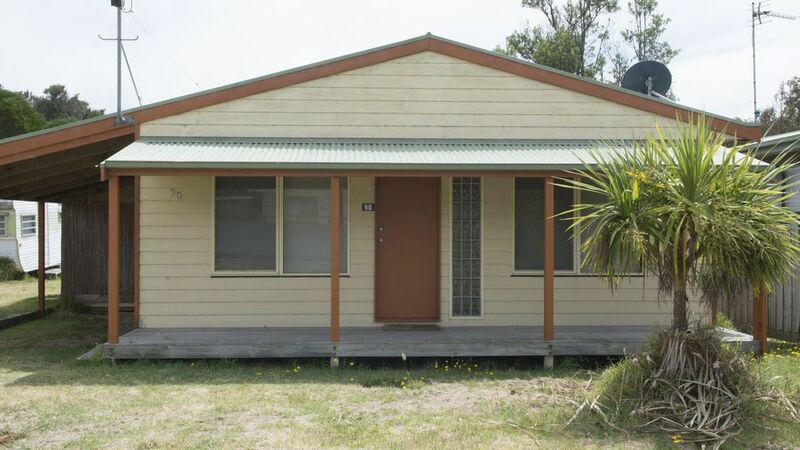 Questo cottage completamente indipendenti, offre un soggiorno molto confortevole al bellissimo Venus Bay. Con soggiorno a pianta aperta, sala da pranzo e cucina. Floating assi del pavimento attraverso fuori e pavimento di piastrelle per cucina, bagno e lavanderia. Soggiorno molto confortevole con funzionalità come TV HD di grandi dimensioni, climatizzatore split system e area esterna per esterni. A pochi passi dalla spiaggia e soli 5 minuti di auto a Anderson ingresso e il fiume Tarwin Inferiore. Molto pulito e situato su un grande riparto con un sacco di spazio per parcheggiare la vostra barca. - Angolo cottura, soggiorno e zona pranzo. letto singolo) più singolo ripiegare. Un rifugio costiero, a soli 165 km da Melbourne, con 22 km di magnifica spiaggia sabbiosa. Venus Bay dispone di cinque splendide spiagge per il surf con sabbia fine e dorata e lingua di sabbia più lunga dello Stato a Anderson Inlet. Con la scelta del surf, del fiume e dell'estuario si possono trascorrere lunghe giornate di pesca godendosi queste attività ricreative. Great area, lovely town, clean and the house was perfect for our needs. Great house in a good location with a local echidna for flavour. Nice place to stay , honestly very confortable has everything you need , however we found the house bit dirty , floors had dirt , kitchen wasn’t clean properly , bins were not empty , some empty bottles of beer on the bench , one of the beds were messy . It was annoying to clean and fix that , but after that we had a great experience, Venus bay is a beautiful place. Clean, comfortable and has everything you need. A neat and tidy house, we stayed for one night on our way past and this place was perfect. Close to the shops and very reasonably priced. We stayed at this property for several nights and were very impressed. The house was very spacious and clean. There was lots of room out the back to play cricket and frisbee. At the end of the day the kids would watch a movie from the large selection of dvds. We spent most of the day at Beach No1 (literally 2mins by car) as it's patrolled. The local shops were great with a well stocked General Store. Given it's location and amenities, this property is exceptional value for money. Thank you for a lovely holiday.